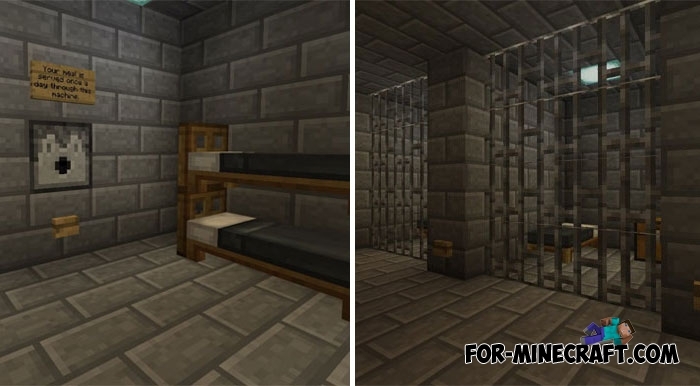 Prison life in Minecraft is not an easy task especially when you are serving your life sentence. There are no rules, everyone defends only himself, the strongest is the main one. You as one of the prisoners are in your cell, but what will you do next? Do not even think about breaking prison grid or blowing up everything that restricts you in your movement. Follow the storyline and do not miss the signs and other tips that are not only an assistant but also guide you in the right direction. Escaping from this prison is a difficult task, but you will cope with it if you solve problems correctly and do not succumb to emotions.